Affirm offers ‘micro’ financing for online purchases, allowing clients to break down their customer’s payments across 3, 6, or 12 months. Affirm’s goal is to bring simplicity, transparency, and fair pricing to consumer credit, creating cheaper and friendlier financial products and services that improve customer satisfaction. 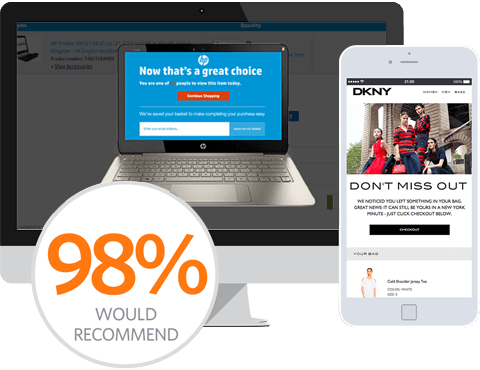 It takes only seconds for customers to decide what suits them best and Affirm has seen conversion rates up to 200%. A key part of our relationship is how we are able to identify and segment the Affirm consumers into separate sets of consumers, allowing us to speak directly to the consumer in the specific stage of their purchasing journey. We have three standard groups of Affirm consumers: (1) Consumers who are in the checkout funnel, but have not engaged with Affirm, (2) the consumers who applied for a loan and were denied and (3) the consumers who applied for a loan and decided not to complete their order at that time. To create a more personalized custom journey, we highlight the “As low as” message to consumers in group 1, while we can suppress the “As low as” messaging to groups 2 and 3; as this message is no longer relevant to them, highlighting instead other reasons to complete their purchase through the clients website. We work closely together with Affirm and their clients to ensure we are informing consumers with relevant messaging at all stages of their journey, whilst maintaining their privacy as outlined in your policies and Affirm’s. Our campaigns are highly customizable, allowing us to quickly change to reflect any privacy changes required, ensuring we are compliant and reaching as many consumers as possible. SaleCycle has partnered with Affirm to address the number one reason for abandonment, cost. We do this by putting Affirm’s “As low as” message directly in front of customers throughout their decision-making process. Our great partnership with Affirm has allowed us to develop and provide the key features below for our clients. Utilize Affirm’s “As low as” (ALA) monthly price in emails, onsite displays, SMS messages and more. Ability to Segment audiences based on approval or rejection of an Affirm Loan. Suppress both customers who have been denied a loan, as well as customers who applied and were approved for a loan but decided not to checkout with that loan from future ALA messaging.